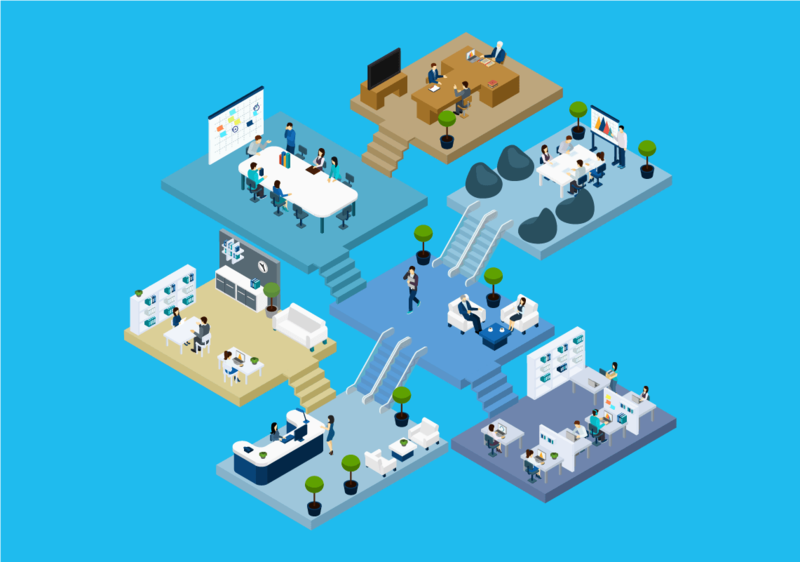 As a leader in the workspace community, you know that many people spend most of their life in the office. Keeping office spaces comfortable and efficient can dramatically improve productivity and well-being. 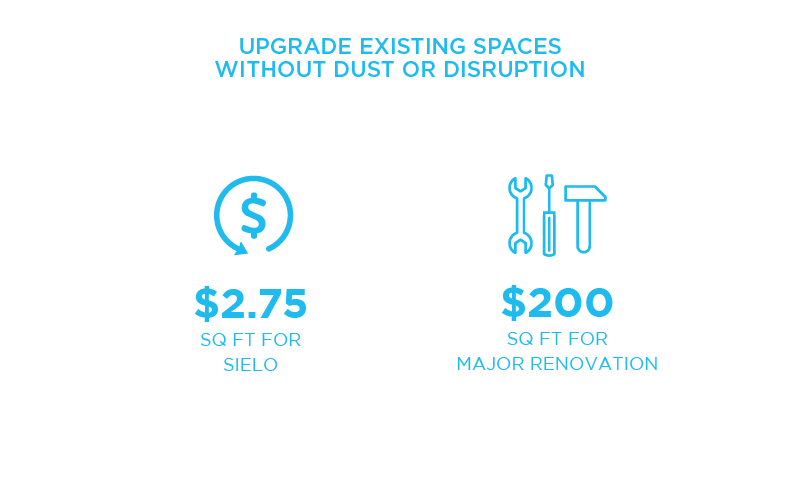 The greatest improvements you can make to your facility are through the lighting and HVAC system and Sielo solutions dramatically improve occupant comfort in the workplace. 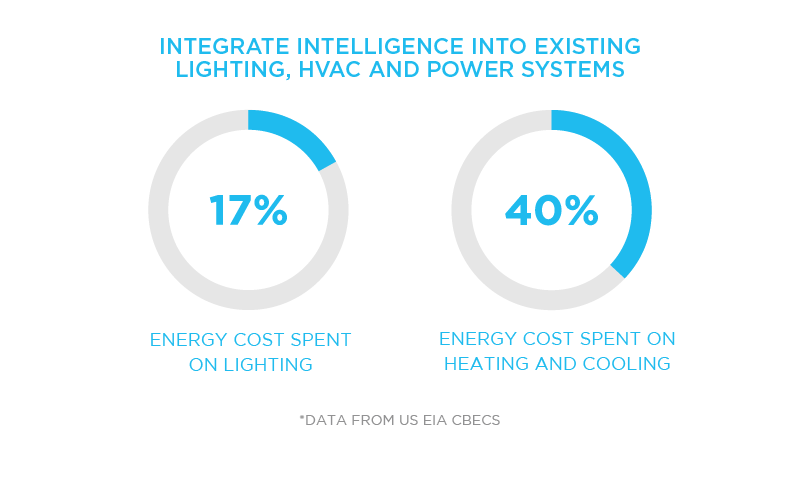 Efficiency improvements across an office facility can also provide new intelligence while enhancingÂ operational efficiency. The bulb and ballast replacement cycle can be broken for years, across thousands of light fixtures, ending lighting related maintenance overhead. 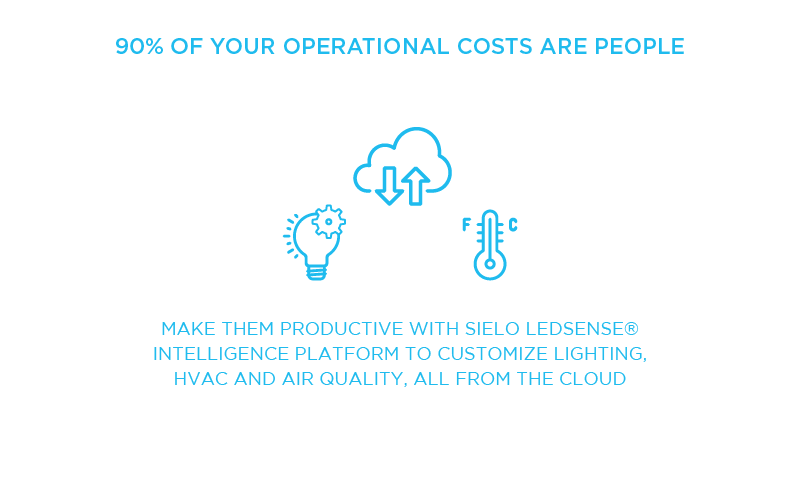 Sielo solutions provide more granular operational intelligence through truly wireless switches and sensors, providing you with dramatically improved occupant customization, HVAC optimization, time-of-use intelligence, daylight harvesting capabilities, and end-to-end scheduling, all powered by your lights. 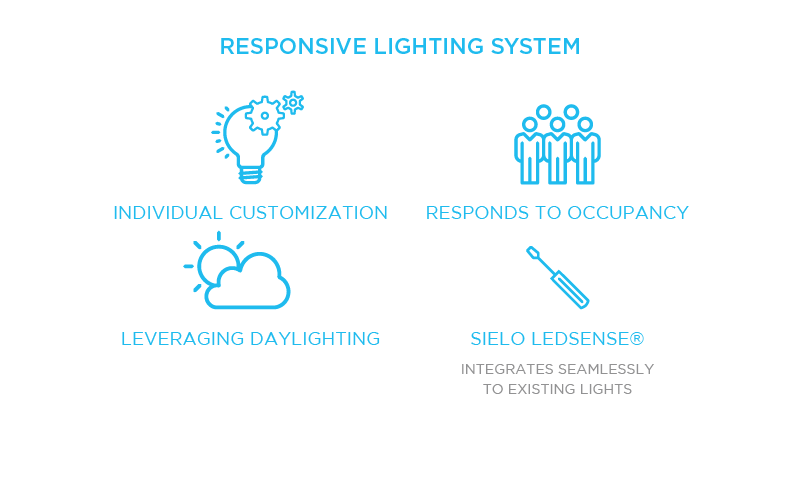 Sielo solutions can upgrade and provide intelligence and allow customized settings and schedules for lighting and HVAC systems when occupied and vacant, providing productive spaces when occupied and intelligently efficient spaces when vacant.